This was taken with my phone, so not the best image quality in the world. For me, it does reflect the simple life. 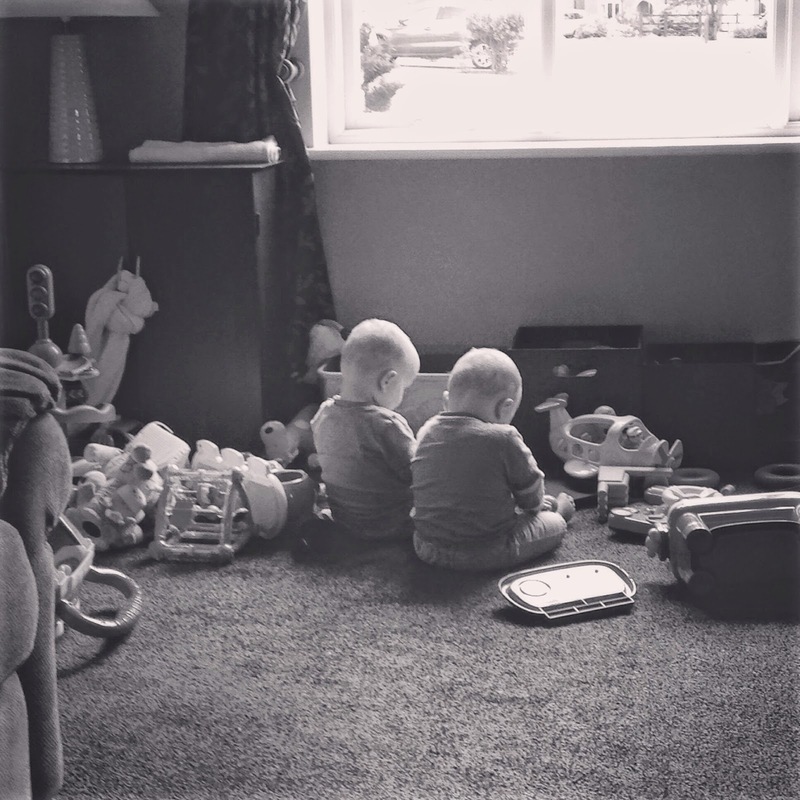 Sitting next to your baby brother, surrounded by toys and not a care in the world! As always, I look forward to seeing this week's other entries. Thank you. I like trying to capture the small things. Thanks for stopping by. Thank you, it is a benefit of twins, having a little friend to play with. Thanks for stopping by. Can't wait till the Day Darcie has a sibling to play with!! Lovely picture! Thank you for hosting, once again. I'm really enjoying this project and think it will look lovely to look back on. I know, it would be lovely to know wouldn't it. Thanks for stopping by. Thank you. I love looking at their little heads from the back. Thanks for stopping by. What a fab photo of the two of them playing together. Thanks for reading. They're definitely getting better at playing together. This is gorgeous! Definitely the simple things that matter and this is one of those moments!